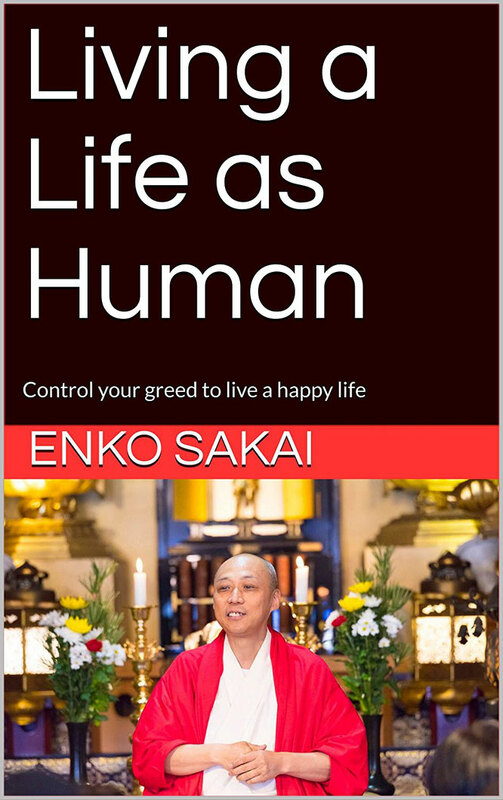 The author is Enko Sakai, the head priest of Myojoin temple in Japan. He has been chosen as one of「100 Next-Era Leaders in Asia 2015-2016」by The Japan Times. He will guide you to live a happy life in this book. So, what’s "Zen Meditation on a Chair"? It is a sort of Zen Meditation which you can try casually anytime and anywhere I would like you to practice proper breathing before entering Enko’s special Zen meditation. With the success of this breathing, you will reach a deep state of meditation more easily. Born into a merchant family, he experienced the divorce of his parents at age 7, and lived with his mother and older brother. Daily life was not easy, but he didn't complain about it. After graduating from high school, he landed a job at a food manufacturer, but decided to be a Buddhist monk four years later. At the age of 52, he is planning to jump off the ladder for the second time in his life. This time, he is planning to walk away from his present position of jushoku (the head priest of a Buddhist temple) of Myojoin Temple, which has a history dating back more than 1,000 years, to jump into a whole new world; founding orphanages in developing Asian countries.